That sweet scent of Valentine’s Day already fills the metro atmosphere. Malls, shops, and even billboards along the major roads entice people about the season of hearts. Couples go on dates, exchange gifts, or go on nearby trips to simply celebrate the tradition. But do we really wait for Valentine’s Day to celebrate love? Of course not! Filipinos are very emotional. We express love everyday even in the simplest ways. Communication is one of the most effective ways of showing love – we say sweet things, show care, or exert extra effort to show affection. Today’s medium for communication has reached greater lengths especially through technology. So much has changed with the way we express our love for our special someone. From the early days of texting, we have improved the way we deliver message. Thanks to today’s more sophisticated mobile instant messaging, we are now equipped with apps that can send and receive messages – voice and text messages that is, accompanied by emoticon stickers to add more feelings (aside from punctuation marks, of course) to instant messaging. WeChat, the most-searched social messaging app in the Philippines, has its own box of chocolates to offer. Read along and find out top 4 ways how you can show and keep your love-filled conversations with your special someone, not only during Valentine’s Day, but all-year round. With WeChat’s voice messaging, Valentine’s Day greetings will be more personal as you could hear your special someone’s voice. You can count on its reliable voice messaging to send your sweet messages, personal notes without worrying about voice quality caused by real-time messaging. 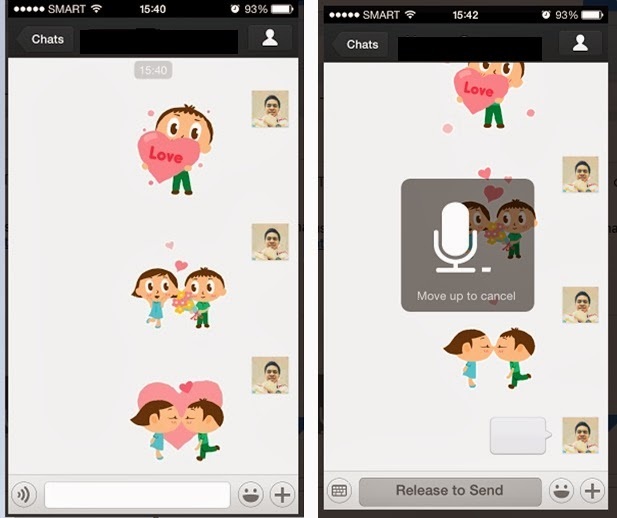 You can save and compile these messages to relive the sweetness over and over again in the WeChat Favorite Messages. 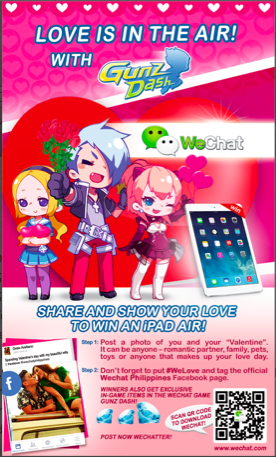 WeChat transports you to your special someone. With WeChat’s video recording feature, you virtually transport yourself to your special someone as you deliver your message. You can show that cute make-face of yours as you convince your crush to go out on a date with you; or show that face value that makes your special someone blush. If you want it real-time, you can use WeChat’s video call and talk to your loved ones wherever they are. What do you think can melt people with affection better than the words “I love you”? Add emotions to this statement through WeChat stickers, it can move emotions through the rain of roses in the screen every time it gets keyed in. Now that’s sweet, more cost effective, and accessible than the real bunch. A better way of celebrating Valentine’s Day is by making memories last. 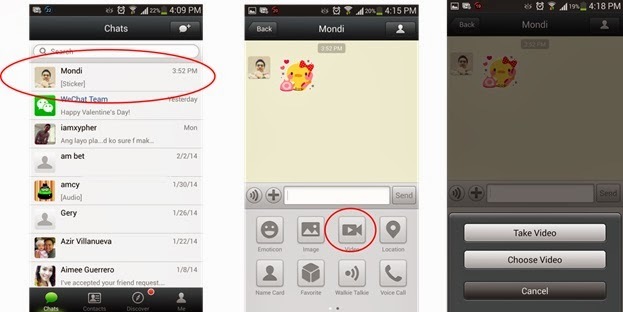 WeChat invites everybody to take a photo of you and your special someone including a short description of that moment. Post it on WeChat’s Facebook page and get a chance to win surprising gifts timely for the season of hearts. WeChat is available free for download on Android, BlackBerry, iOS, Symbian and Windows operating systems. Learn more about WeChat and download the app at www.wechat.com or Like their official Facebook page (Facebook.com/WechatPH).